Like your intention, your choice is a power tool if you want to consciously create your reality and future. They’re both similar in that they’re tools that empower you to free yourself from what limits you and create the future you desire. What’s the difference between intention and choice? Intention is your deepest desire. Perhaps for a house by the ocean. A loving relationship. Or to heal your body. It’s your desire that you say out loud (or silently) to yourself. To the Universe. But you aren’t there yet. Choice is how you get there. You make a choice every single moment. You choose who you want to be. How you show up. What you do. What you don’t do. Choice is each step you take to make a path through the wide, beautiful forest of your life. You choose whether to search for that house by the ocean today or next month. You choose how you want to love or show up in a relationship regardless of whether you’re laughing together or there’s friction between you two. You choose a modality to heal your body. 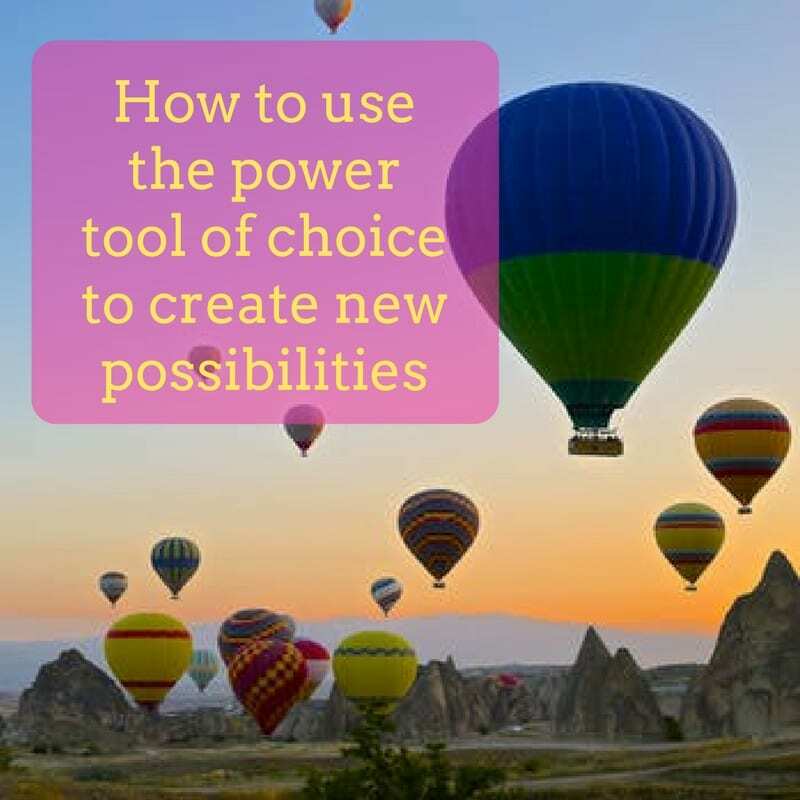 To choose you select from several possibilities. And it can be conscious, unconscious, or a mix of both. The thing, though, is that your unconscious can often run the show. So you want to be conscious about your choice. Certainly for the intentions important to you. What is your conscious choice? Your conscious choice is when, eyes focused upon the lighthouse of your intention, you choose which direction you’re going to steer your boat. Maybe you choose to create a vision board so you can begin to manifest that house by the ocean. Or you create a practice for yourself of how you want to show up and love in your relationship. Or you choose homeopathy over acupuncture as the next modality you want to include in your treatment plan. Choice is connected to your will. You get to choose. And that’s how you get to create. The most incredible power of choice is that you can change (almost) anything about your life. If you want to change a behavior or pattern, choice is your ally. To be different. To do different. If you want that dream house and money is scarce, you can choose to work on your abundance issues. If you want to warm up a cooling relationship, you might choose to speak your truth, listen more instead of assuming, or soften your rough or scared edges. If you want to heal you might want to get to the root of disease instead of just managing its symptoms. Choose to do something or change a certain behavior or pattern, and the energy of your choice creates waves in the quantum field of the universe. One. Decide that what you’re intending is absolutely essential. Two. Along with your intention, plant a part of your mind or consciousness, to be watchful, mindful, vigilant in every moment, every opportunity, you get to practice. The moments you envision your dream home by listening to ocean waves lap against the wooden sides of your house, its color, the rooms, the quality of light, the ocean smell, the smile on your face and peace in your heart. The moments you connect with your partner, are you centered, open and receptive? Are you staying connected to love — for yourself and him through the interaction? How you’re showing up impacts him? Your practice of envisioning yourself perfectly healthy. Three. Self-reflect after your practice. How did you do? What was better than the time before. What can you continue to improve on? Any tumbles? Four. Appreciate, validate, and love yourself. Tell yourself how proud you are of you. I’m proud of you. For choosing. For showing up. For every moment you try something new.